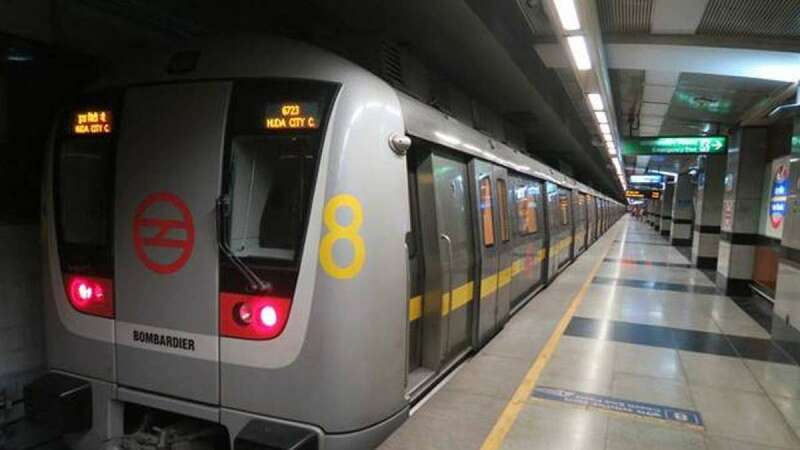 New Delhi : Delhi Metro commuters will now be able to buy token and recharge their smart cards through their mobile banking application, the Delhi Metro Rail Corp (DMRC) said on Sunday. "The DMRC today launched the cashless token sale/smart card recharge facility by using the Bharat Quick Response (QR) code displayed at the token counters and customer care centres of metro stations," said a DMRC statement. The service can be availed through any bank application and has been provided by HDFC Bank. The passenger would have to select 'pay through QR' option in the app and then direct the smartphone camera-wise to the QR code displayed at the ticket counter. He or she can then enter the fare and make the payment. Currently, this facility has been made available at five Metro stations -- Rajiv Chowk, Rajendra Place, Seelampur, Pitampura and Nehru Place, and would be introduced subsequently in a phased manner in all metro stations. Speaking on the launch, DMRC Managing Director Mangu Singh said: "The DMRC is making all efforts to push the cashless mode of transaction initiated by the government. "This new cashless facility is expected to provide the commuters a more convenient and fast access to the Delhi Metro network besides helping in managing the problem of change/coins at the stations," Singh added. The Bharat QR Code was recently launched by the government in a bid to promote cashless transactions and this code works with all major banks in India. It is a form of a bar code that uses the bank's information (merchant name and account number) required for the payment, the statement read.